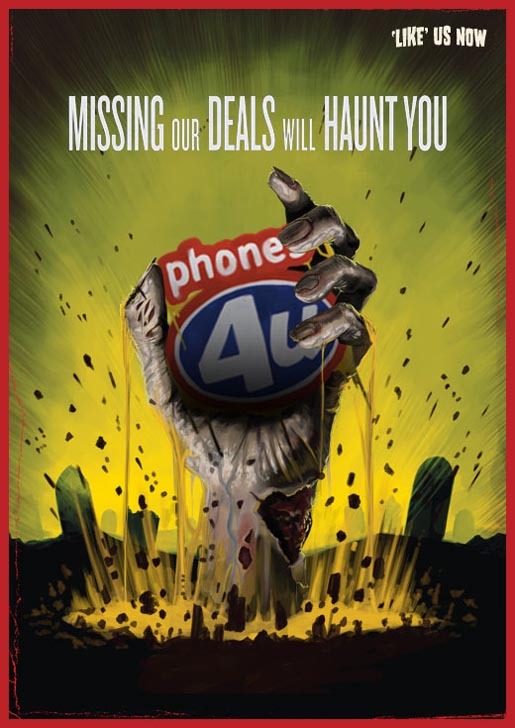 Phones4U is running a horror-themed advertising campaign in the UK with the tag line, “Missing our deals will haunt you”. Running through October in the build up to Halloween, the campaign includes two television commercials, two-second teasers, press, radio, in-store and digital ads. 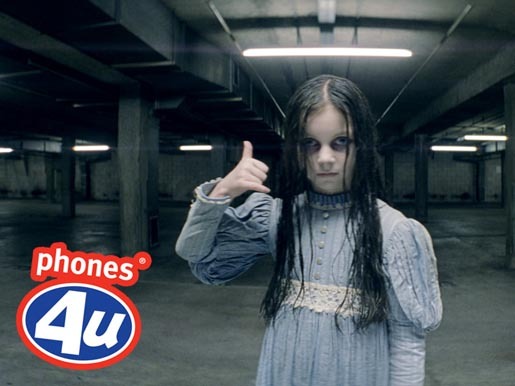 Potential customers are shown being pursued by ghoulish characters who point out the deals they could have been offered at Phones4U. The Haunting campaign was developed at Adam&Eve, London, by Aidan McClure and Laurent Simon, with planner David Golding and agency producer Leila Bartlam, working with Phones4U head of brand communications Caspar Nelson. Filming was shot by director Garth Jennings and producer Nick Goldsmith at Hammer & Tongs. Sound wand music was produced at Factory by Anthony Moore. Colorist was Tareq Kubaisi at Prime Focus. Post production was done at MPC. Editor was Dominic Leung at Trim. Media planner was Anuschka Clarke at Eden.